No celebration is complete without cake, and here are 100+ favorite recipes. 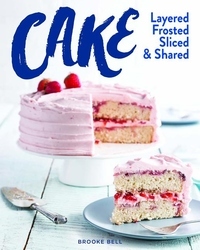 Cake is a collection of delicious cake recipes that will spark your favorite baking memories. From quick-and-easy cake-mix makeovers to made-from-scratch heirloom showstoppers, there's something sweet for every baker, no matter what skill level. What are you waiting for? Preheat your oven, get out your mixer, and let's bake a cake! These delicious recipes have been developed and created by Taste of the South and Southern Lady magazine teams.